I wrote an entire post entitled “the voice,” which I never posted because it was mostly me ranting and raving and getting my innermost thoughts off my chest. Yet, here I am with the same focus about a week later. NBC airs a show called “The Voice.” While I have never actually viewed the show from start to finish, I understand the premise is that famous music artists pick their favorite upcoming singers without ever looking at the person, simply by listening to their voices as they sing. 1. Find your voice. 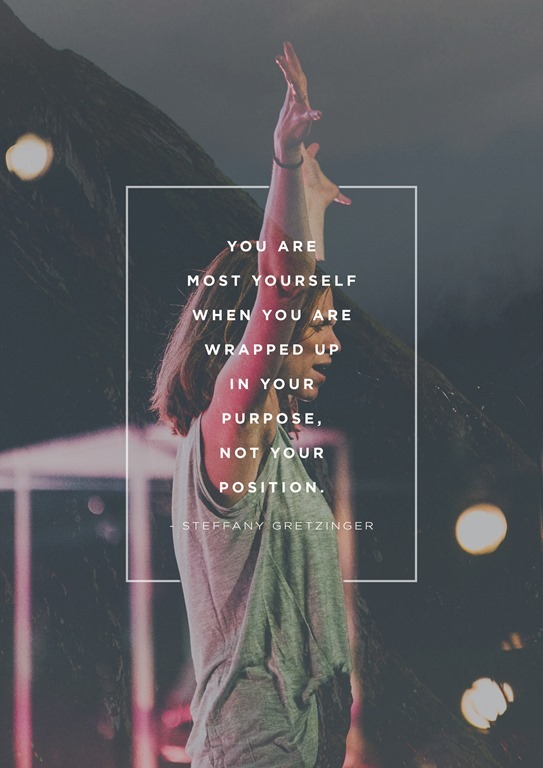 I briefly mentioned in my last blog the importance of finding your purpose. I mentioned in another the importance of sharing your story. I cannot overemphasize either point. In one of my favorite movies, Dreamgirls, Beyonce sings a song called “Listen.” One of the lyrics says, “I followed the voice you think you gave to me, and now I have to find my own…my own.” Each of us shares a unique story. Each of us is walking a journey specifically picked out for us. While I know that we have no idea what that journey will entail, the quicker we figure out the reason we are traveling that special path, the more meaningful our lives become. There are stories that only you can tell – people that only you can reach. God has given each of us a mission – a plan that only we can execute. To follow that plan means that we have found that voice. It adds the extraordinary component to ordinary life. 2. Follow your voice. Go with your gut. So many of us ignore that still, small voice that whispers to us. I have found that small voice is far more accurate than much of the “rational” reasoning we do with ourselves. Some people call it your conscious. Others call it your instinct. I call it my angel – my special gift from God. Whatever you want to call it, the stories I could tell about it are endless. Many people have asked why I left my previous job, and I always pause. How can I explain to people who do not consistently follow their hearts that it was time for me to go? That still, small voice told me my time was up….It told me that my husband was the one even before I could decide whether or not I was truly interested. It chose my college, my career, and my children. It tells me who to trust and who not to trust, and it is spot on every time. So whatever you call that still, small voice. Go with it. Every time. My sister and I discuss that inner voice at length. Many people do not understand it. Truth is. That inner voice – it is also the one thing that keeps us going. That tells us to keep going when we want to give up. That reminds us why we do what we do every day. That keeps us focused on the bigger picture. Every now and again, we want to try to throw in the towel, and that voice catches our hand before it can come down. It voices encouragement. It voices wisdom. It voices unparalleled knowledge. That voice has saved my life. In sum, find your voice. Use your voice. Follow your voice. Hear that voice over everything life throws at you. And as always, keep living ordinary life – extraordinarily. What are some ways that you find your voice and follow your voice? I’m glad Angela. The more I listen to that still, small voice, the calmer I find myself in my day to day affairs.